The best way to organize your flights. Track all available flights & airline information worldwide, or follow a flight on the real-time flight map. Track any flight in the world in real-time. 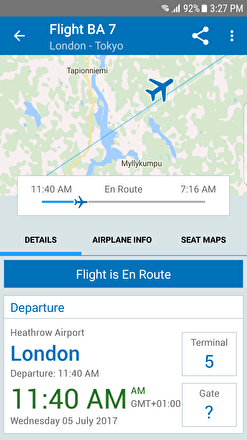 Search for flights and get detailed departure/arrival information, including terminal and gate updates: The Flight Tracker includes terminal maps for major airports, so you needn’t worry about finding your way. 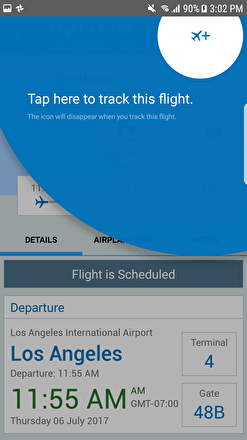 Receive push-notifications whenever your flight changes. Never miss a flight or forget to pick up a friend from the airport! 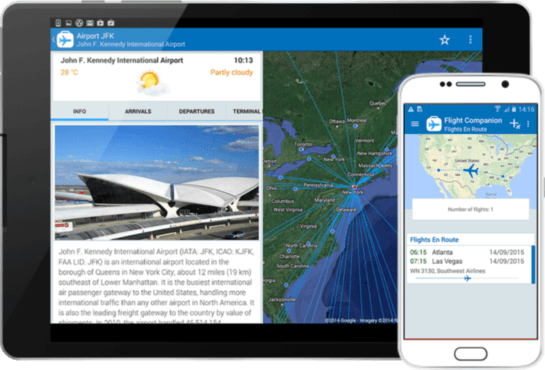 Get detailed info on every airline and airport in the world, including terminal maps for major airports and weather forecasts for the location of the airport! 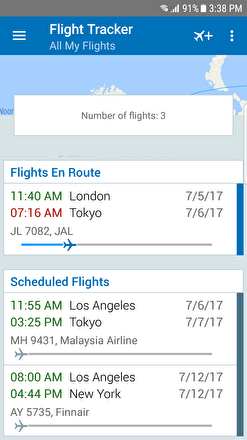 Sync flight information with your calender effortlessly. Save and share flight info via e-mail, text message or social media! 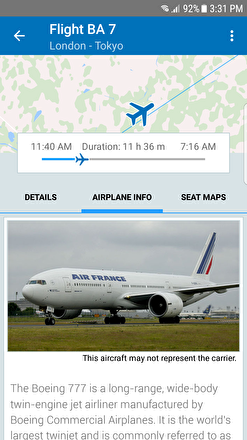 The Flight Tracker is designed to provide you with all the information you need, when you need it. With all of the essential flight information in your pocket, you can leave the worries at home. You'll be surprised how intuitive and smooth the app works! An absolute essential travel companion.